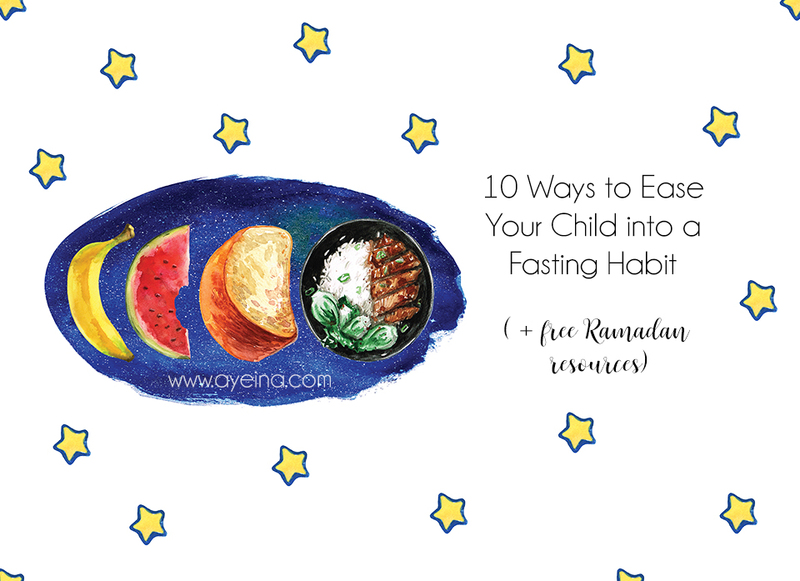 If your kids are interested in fasting or are reaching the age required to fast, here are a few ways to help them along on their journey in shaa Allah. Practice makes perfect as they say and the best way for kids to do anything, especially fasting, would be to practice. There are so many ways they can try, whether it is by waking up for suhoor to start the habit or having a later breakfast to get a feel of things. They could skip breakfast altogether and wait for lunch. You could have them attempt a part-fast, your child can wake up for suhoor and fast for as long as it is comfortable for them. Another option could be a food fast, avoiding food but allowing water/liquids. Remember that kids are just kids, so take it slow and be mindful of their needs throughout the day. If your child is keen to fast, ask them to set a goal of how many times they’d like to try. This gives children a sense of purpose and something to work towards. Another great way to encourage fasting is to offer a reward for each fast (or part-fast) completed. You can give them a small gift. A fun idea could be to blow up a balloon and add a small toy or treat in it. When your child has completed the fast, pop the balloon to reveal the prize. 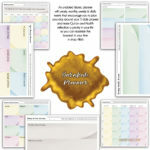 There are a few great printables available that you can use to encourage fasting. 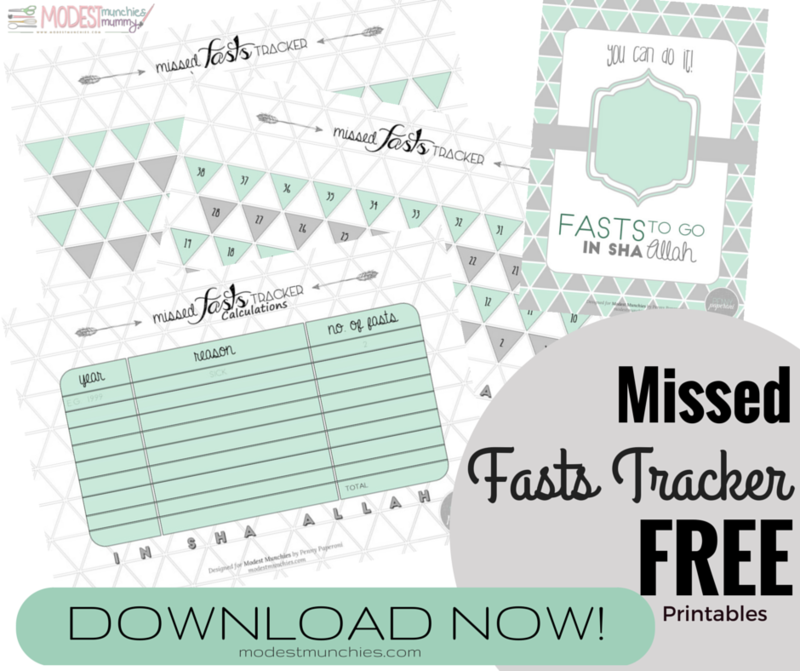 A printable makes it easier to keep track of fasts completed (or attempted). 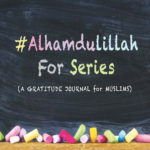 This post – Involving Kids in the Ramadan Spirit (+ FREE printables) – will help you find a good fit for you and your child in shaa Allah. Get your kids involved in everything that goes with fasting, whether it’s setting the table for suhoor/iftar or getting out the dates and handing it to everyone. Getting them involved will foster a better understanding of the ins and outs throughout the day and let them settle into the rhythm of fasting a lot easier. Even if your children aren’t fasting, have them break fast with you with dates before dinner, this will help them understand the sunnah of fasting. You can also begin to teach them the dua for breaking their fast. no need to go into too much detail here. But a good role model is invaluable. Kids always want to imitate their parents and fasting is no different, kids look up to their parents and want to be able to do what they do. Make sure your kids are seeing all that you do, be extra kind to them and show them the beauty of Ramadan through your words and actions. 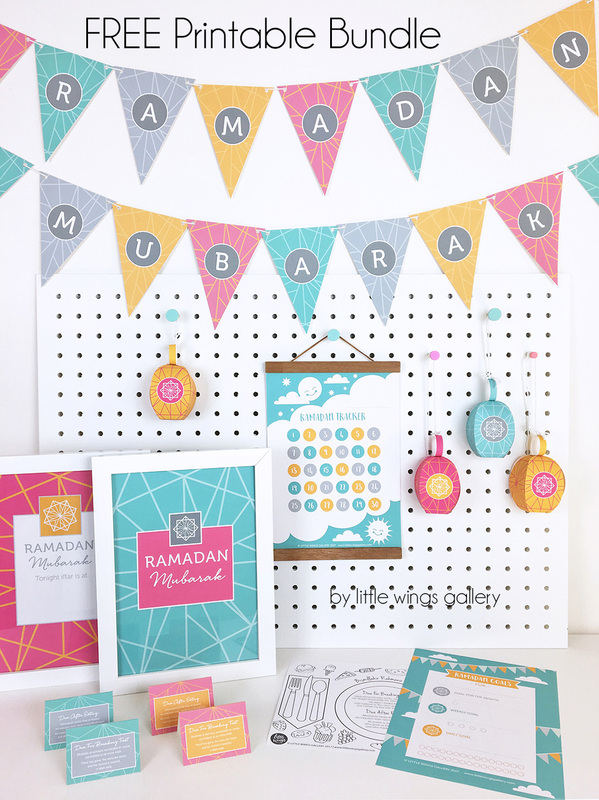 to add even more fasting practise to their repertoire, get them to fast before Ramadan starts. There are so many beneficial Sunnah days to practise fasting. Not only will they get to practise but also be getting rewards (printable white days fasting). You can go one step further and join them, reap the rewards together, it’s also a great opportunity to make up fasts if you have any left over. Fasting, just like anything else, will take practice and time to get right. Don’t be upset if they can’t manage sometimes. Take it slow and go with the flow. Being mad or upset can create negative feelings about fasting and that’s the last thing you want. Praise them even for trying. Bio: Faaiza is the writer behind the blog Modest Munchies. She’s an avid baker, chocolate lover, recipe creator and crafter. Faaiza planned to be an accountant and subsequently a teacher, but after qualifying as both, being a stay at home mum took preference. Her teaching qualification is handy as she homeschools her son and daughter, and has also inspired many creative learning ideas on her blog. What started as a food blog, naturally developed into a creative/foodie mum blog, an outlet for her creativity. 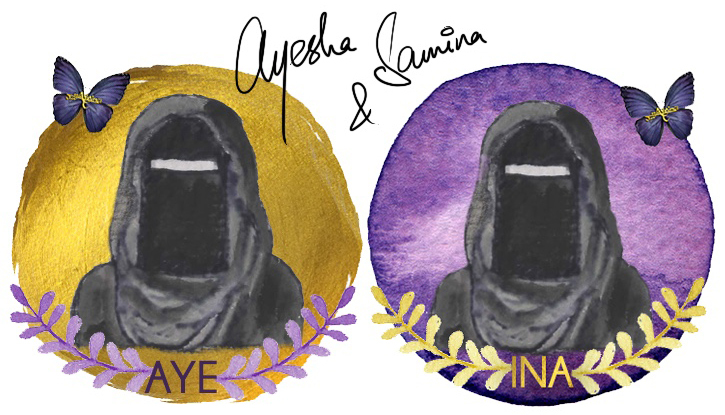 May Allaah reward AYEINA's community writers for their contributions to benefit the Ummah at large. 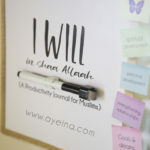 If you feel like you have something you can contribute, submit it to submissions@ayeina.com. Letter to a Muslim Mum – You’re Not Alone!